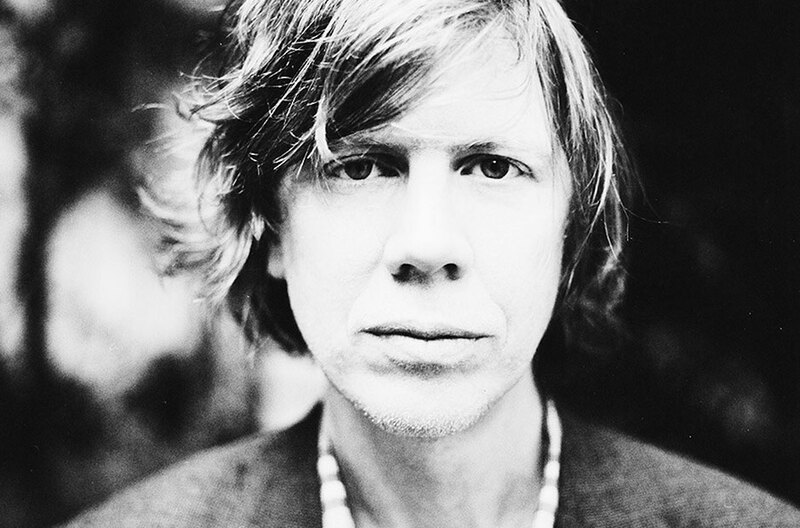 The musician Thurston Moore — one of the founders of the groundbreaking experimental rock band Sonic Youth — has deep and long-standing ties to the New York School of poets, and to avant-garde poetics more broadly. After all, he did recently record a song called “Frank O’Hara Hit” with his current band, Chelsea Light Moving (which I wrote about here), he has taught poetry workshops at the Jack Kerouac School of Disembodied Poetics at Naropa, has appeared frequently at the Poetry Project at St. Mark’s, has often mentioned his practice of collecting small-press, underground poetry publications, and has even started his own small press. This connection has never been more apparent, though, than in a fascinating, wide-ranging interview with Moore that has just been published in Postmodern Culture. Moore is interviewed by Daniel Kane, who has written extensively on the links between New York poetry and the punk tradition. In a rich and freewheeling conversation about literature and art that begins and ends with Moore’s “commitment to poetry,” Moore and Kane discuss everything from conceptual art to the Ramones, Clark Coolidge and Brian Eno, Patti Smith and Jack Spicer. For example, Moore teases out connections between conceptual artists like Vito Acconci and Dan Graham, arty punk of the 1970s, and the origins of bands like Sonic Youth (“When I met Kim Gordon, she was an artist who had come to New York to be an artist … and she got involved with playing music with Dan Graham. And Dan Graham was somebody who always sort of looked at rock music as something that was really correlative to what he was doing as a conceptual artist”). I think their idea was to interrelate this kind of contemporary New York School writing, these John Ashbery kind of lines that were filled with very artful non-sequiturs and were simultaneously very visual on the page, and then sort of doing things where they were taking pages out of a Daniel Defoe book, or out of the phonebook, and putting these various kinds of pages together, seeing their connectivity, figuring out what that meant, what that could evoke. That was really smart, and so 0-9 subsequently became this kind of infamous poetry magazine. It really did try to explode what could be considered writing. Yeah! The Sol LeWitt people were responding to the Ramones! They were going to see the Ramones, Dan Graham was certainly going to Ramones shows, and even more so going to see the No Wave bands, bands that had even less to do with any reference to R & B, or really any kind of rock ‘n’ roll … A lot of the dialogue that started happening around those bands in 1976 and ‘77 was coming from the art world. It had less to do with anything coming out of the music culture and more to do with what was coming out of the art culture, as far as dialoguing about that. Patti Smith was coming out of this relationship with Robert Mapplethorpe, Talking Heads were coming out of art school, and even Richard Hell had his dalliances with art world women! To go to the Poetry Project to actually get involved with what was going on … Ted Berrigan was still reading there, Joe Brainard … my God, in retrospect I wish I had hung out there, but I was too young. I didn’t think I was going to get seriously into poetry, even though people like Barbara Barg, Susie Timmons, Eileen Myles were around, but it didn’t mean anything to me. There was no poetry scene that was going on that was directly informing Sonic Youth at the time. My writing, my notebooks, wasn’t correlative with what was going on at the Poetry Project. I didn’t have any real awareness of what that lineage was, even though I knew a little bit about it from being there. I didn’t really know what the structure was then. There was nobody telling me about it, it was another thing happening in the landscape. It was quite a while before I would actually see Ted Berrigan walking around all the time, and I’ve always said to his son Anselm that I thought he was a cult leader! There’s much more — check out the whole interview here. This entry was posted in Bernadette Mayer, Bruce Andrews, Charles Bernstein, Clark Coolidge, Dan Graham, Frank O'Hara, Interview, John Ashbery, Music, NY School Influence, Patti Smith, Poetry Project at St. Marks, Richard Hell, Ted Berrigan, Thurston Moore, Vito Acconci. Bookmark the permalink.